For most men, words don’t come easy. We’ve all heard or read the statistics; women use more words than men. Men are more than comfortable watching a game, sitting shoulder to shoulder, grunting, cheering, and occasionally offering a fist-bump. Not exactly meaningful or sophisticated, but we still call it communication. In Genesis chapter 1, we see the phrase “And God said,” nine times. God doesn’t just speak at his creation; he speaks into and over his creation. Out of the nothingness, God’s words create life. But as we read on in the biblical narrative (Genesis 3), we learn that God is not the only one who speaks. There is what Paul Tripp calls a “war of words” going on in the Garden. Satan uses words too. But unlike God, his words bring death, pain, deception, separation, and ultimately the loss of Paradise. How true it is that “the tongue can bring death or life” (Proverbs 18:21)?! I have sinned with my words, but I’ve also sinned by withholding my words. Sometimes it’s not what we say, but rather what we don’t say. Feelings of appreciation, approval, and encouragement can be left unspoken. So how do you use your words? 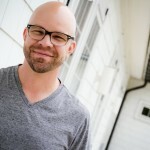 As a husband and father, do your words matter? Because we are image-bearers of God, one of the ways we glorify God is in our speech. We reflect his image by the use of our words. In Jesus, God speaks over us as our Father. He calls to us, and speaks over us as his children – adopted, accepted, treasured, loved, no longer sinners, but saints, citizens of heaven, and the list goes on. God does not just speak at us; he speaks over us. 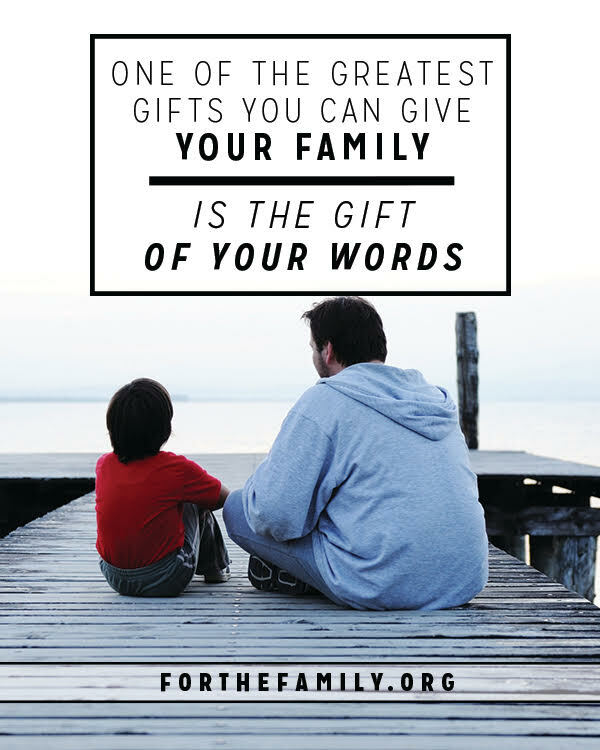 One of the greatest gifts you can give your children (and family) is the gift of your words. By God’s grace, be a man, husband, and father who doesn’t just speak to your family, but speaks over them. May the words that your Father speaks over you, be words you speak to and over your family – words of life, joy, approval, hope, wisdom, and encouragement. « How Much Quality Time do You Spend With Your Spouse?